Walmart Suppliers have been asked to make many changes to processes over the last few years. From systems updates to On Time In Full, every new initiative goes back to the common goal: getting product to the customer efficiently. As Walmart works with suppliers to plan new modulars, retail ready packaging is becoming a driving force of improvement. Product arriving at the store ready for the shelf is nothing new, but it’s getting a new focus. Some suppliers will benefit now from examining their existing processes to get in front of package guidelines on the horizon. For suppliers that have never prioritized retail ready packages, it helps to partner with seasoned professionals. Menasha Packaging has had a front row seat as retail expectations have evolved, and they provide keen insight into Walmart’s upcoming goals. Kerry Bailey, Director of Retail for Menasha, recently moderated a retail ready package summit hosted by Walmart. As Bailey explains, Walmart is working to fine tune the supply chain process. In the end, the customer comes out on top. The best part of Walmart’s retail ready packaging initiative is the company’s versatility. Bailey commends Walmart on not taking a “cookie cutter” approach but instead being open to different styles of packaging. 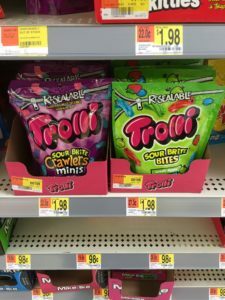 While Walmart’s retail ready packaging goals are streamlining Department 3, other areas are sure to follow. Consulting with a partner like Menasha combines the experience of packaging with solid Walmart knowledge. Menasha created a retail ready packaging toolkit to get new suppliers off the ground. 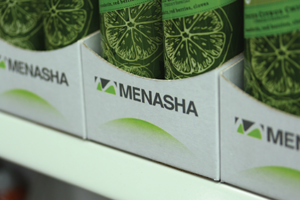 Each supplier is different, and Menasha works to look at all forms of solutions to get the product to the store, ready for the shelf. This entry was posted in Supply Chain and tagged department 3, Menasha, Menasha Packaging, Packaging, peg free, retail ready packaging, retail-ready, RRP, Walmart, walmart packaging initiative. Bookmark the permalink.